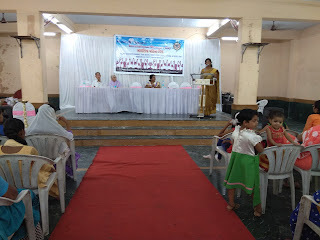 7-April-2018, Pune: The Don Bosco Development Society (DBDS), Pune celebrated International Women’s Day on 7th April 2018 at Anna Bhau Sathe Hall, Yeshwant Nagar (Yerwada). 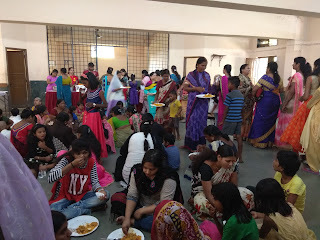 All the women who participated were the beneficiaries of the works done by DBDS in the slums of Pune. 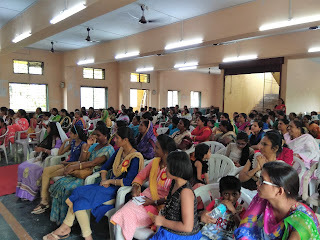 Over 187 Women Participated in this Women’s Day Program held under the aegis of ‘Women Empowerment Project’ supported by Manos Unidas, Spain. 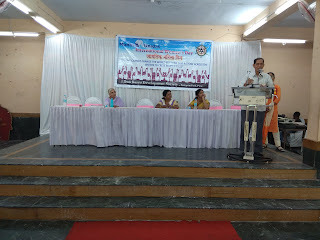 Mr. Nagsen Chavan (Coordinator - DBDS) welcomed the guests and all the women participants and spoke about the works of DBDS and how it is making positive impact on the lives of slum women. 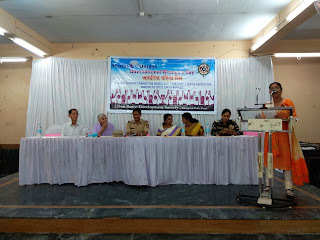 Ms. Magal (PSI- Vishrantwadi Police Station) spoke about the importance of women’s safety and security and also informed about the measures taken by police in this regards. She announced that the Police are friend of people and they should approach them whenever they are victim of any crime. 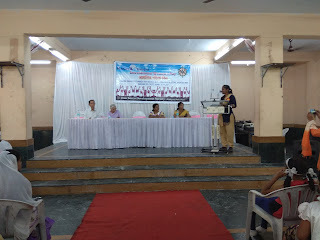 Mrs Kalpana Bagul (Business Women) spoke about women’s financial independence and financial security. Women should start business and provide support to their family and society and avoid depending on other family members. 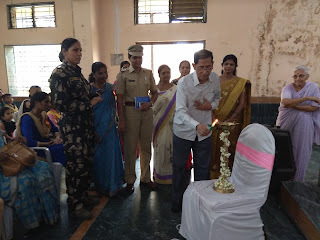 Mrs Uma Dhotre (Principal- KMJGV, Pune) shared importance of skill training programs, small scale business, government schemes and policies and how women can benefit from these government schemes. Dr. Asha Gurjar (Retired professor & Social Activist). 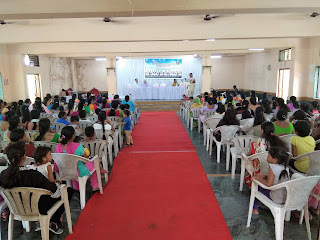 She shared her vast knowledge and experience to inspire women to be the change agent to empower oneself and others in their neighborhood and also stressed on the need for women to come forward to claim their entitlements under various schemes. Fr. 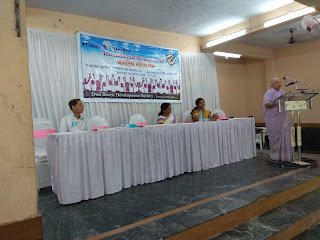 Vincent spoke about women leadership and initiative of social reformation.